A nice long sleeve coral sweater, gentle and soft, perfect for mid-season spring. 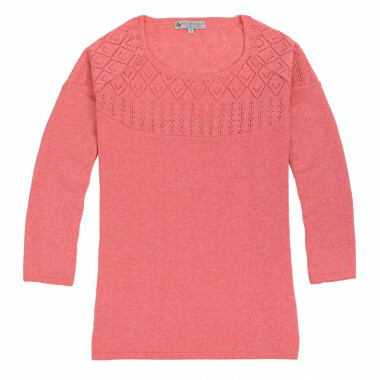 A nice long sleeve coral sweater, gentle and soft, perfect for mid-season spring. Beautiful embroideries at neck. Coral is the absolute color for fresh spring season.